← Hedgehog Makes Front Page News! 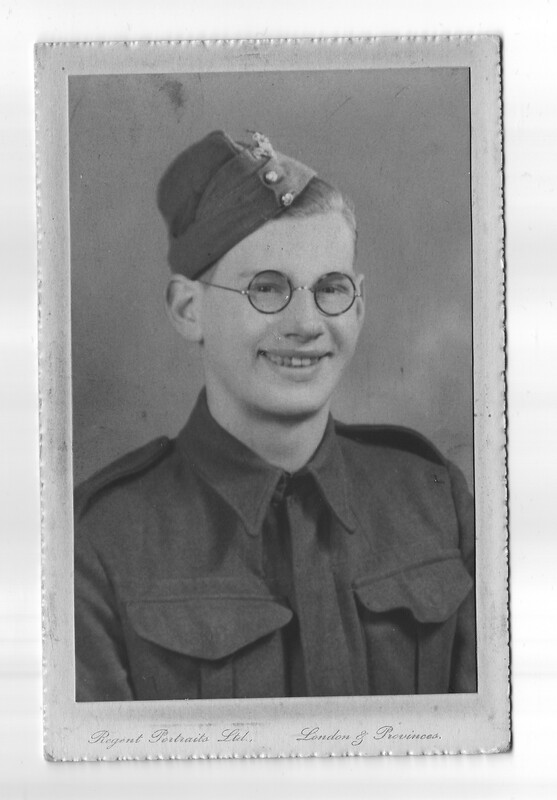 Gordon C. Dinnis never talked much about his time in the war. But one thing he did occasionally mention was that he guarded Churchill and Roosevelt. He mentioned they were at some sort of important meeting. 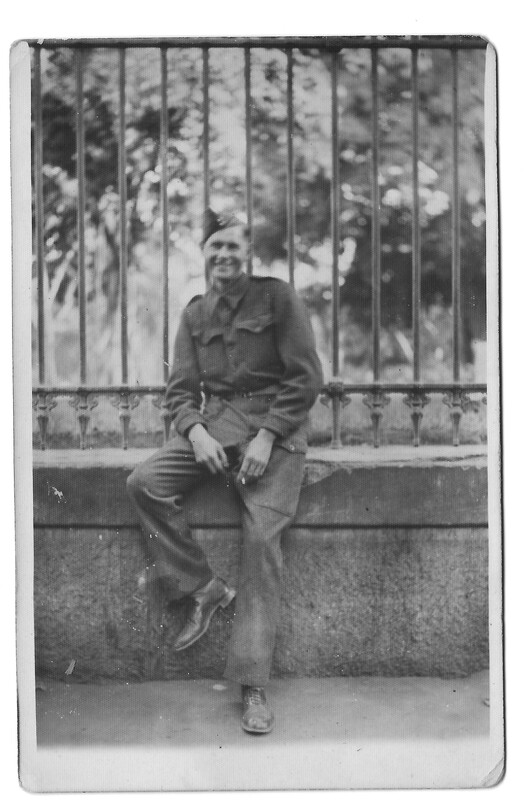 Since looking at his time in the war I thought he must have been mistaken, or joking, because he spent the time in Italy and I could find no sign of a conference there. This weekend I found something that might show he was right. I found this site about World War 2 Conferences. 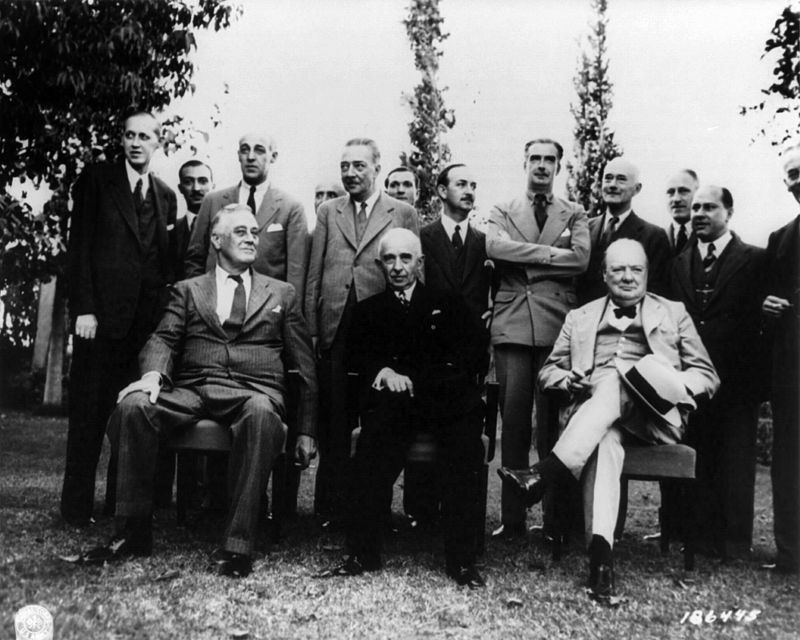 There was a ‘Cairo conference’ in Cairo, Egypt from November 23 – 26 1943. 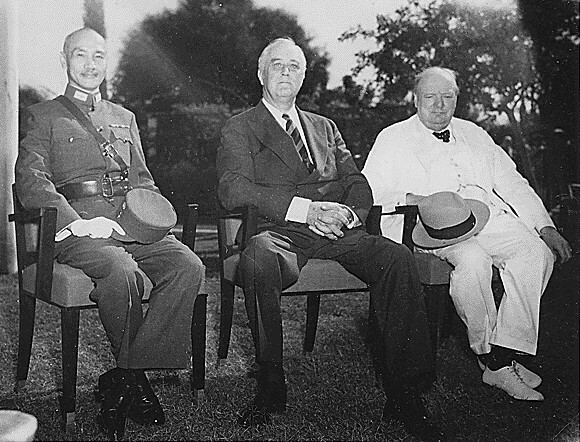 Present were Churchill, Roosevelt and Chiang Kaishek of the Republic of China. A second Cairo conference followed shortly after from the 4th to the 6th of December 1943. Churchill and Roosevelt were present again, this time they were joined by President Ismet Inonu of Turkey. Looking at the dates of these conferences, and knowing they took place in Egypt I looked again at my father’s photographs. This time I turned them over and looked on the reverse, where Dad had written some information. 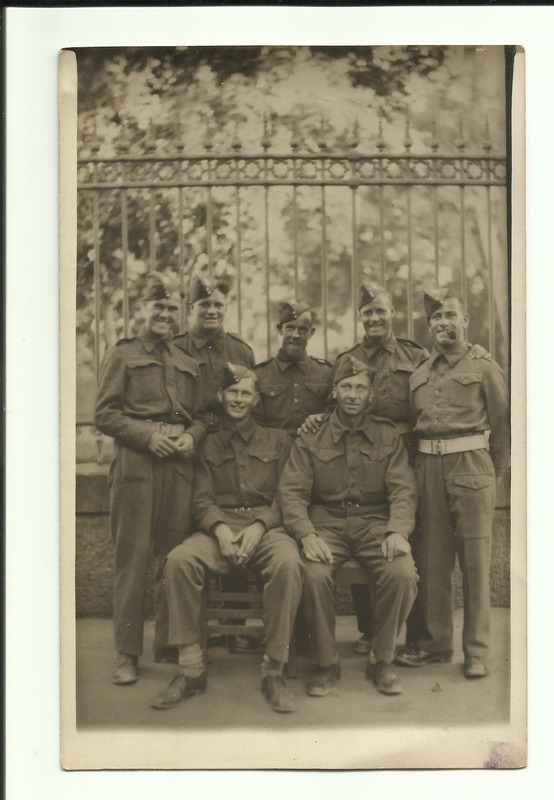 Gordon Charles Dinnis, front row on left. Not named, but he was a friend of Gordon’s. 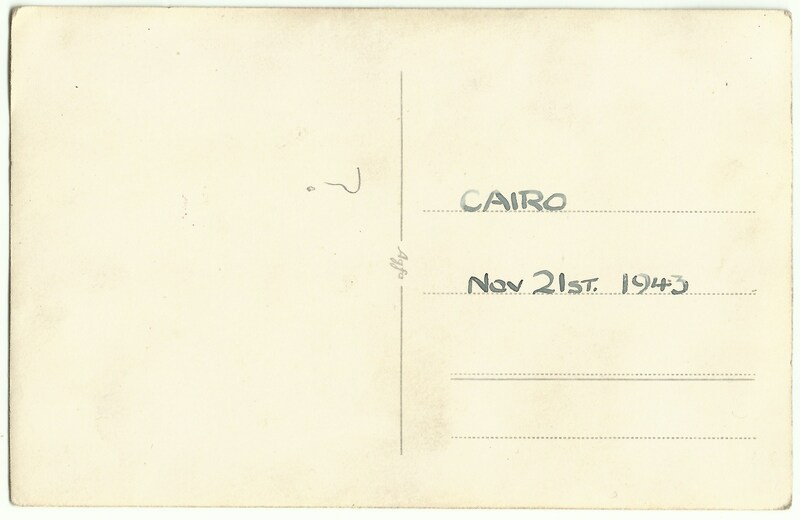 These dates confirm that Gordon was in Cairo on November 21st 1943, and the Cairo Conferences were November 23 – 26 and December 4 – 6, 1943. So, maybe Dad did guard Churchill after all! This entry was posted in Gordon Charles Dinnis, World War 2 and tagged Cairo, Cairo conference, Churchill, NaBloPoMo, Roosevelt, World War 2. Bookmark the permalink.